SYNOPSIS: The Golden Gate Bridge is the world's most popular suicide destination. In this dark, fantastical musical, four characters battle the demons that bring us to life's edge, as they struggle to find the hope that keeps us from stepping off. 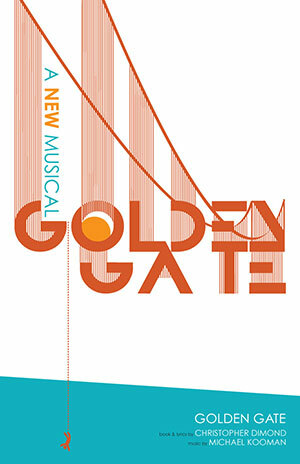 HISTORY: GOLDEN GATE was originally commissioned by the Williamstown Theatre Festival. It has been produced at Williamstown, and received its collegiate premiere at Millikin University. For licensing inquiries, please email us.